The following is an excerpt from a longer interview. You can read the full interview HERE but in the meantime we wanted to share David’s thoughts on Bhakti Yoga. 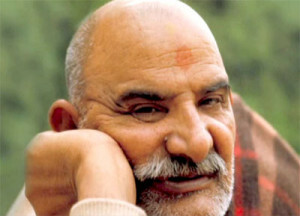 LM: As a practitioner and educator of Bhakti Yoga, the yoga of love or devotion, can you talk about the benefits of this kind of yoga, specifically as it relates to the honest search inward for connection to the Self? To say it brings a greater sense of flow and ease into one’s life would be an understatement. It showed me that this idea of somehow being in control of what happens is in actuality an idea, a false idea. So letting go of that idea that I’m in charge and allowing something else to really live through me, that’s the practice of Bhakti Yoga and it makes for a life with much more grace and ease, and less stress, less worry, so much more happiness in being able to just savor the process of it all. LM: How do you continue to maintain that sense of love and devotion in your day to day when you are not teaching or in the class or really focused on Bhakti Yoga? DD: Bhakti Yoga is a 24/7 practice. Neem Karoli Baba, my guru, said, “Better to see God in everything, than to try and figure it out. Also, to see the divine in everyone and in all things and I have that opportunity every moment to acknowledge that the person speaking with me or standing in front of me or making music with me or my wife or my child or my friend or my mother, these are all expressions of the divine and so it’s a continued practice just to behold that and to remember that. The easy situations aren’t challenging because it’s obvious, but the ones where I want to lose my temper or lose my cool or not trust or resist or struggle or responding to an experience that makes me want to shut down or close my heart…those opportunities don’t happen so much on your meditation cushion, they happen throughout the day and so the practice of Bhakti, I called it Living Bhakti, there’s an opportunity to practice it all the time. For more information on our Bhakti Yoga Retreat with David, click HERE.